Get online at 28.800 bps! 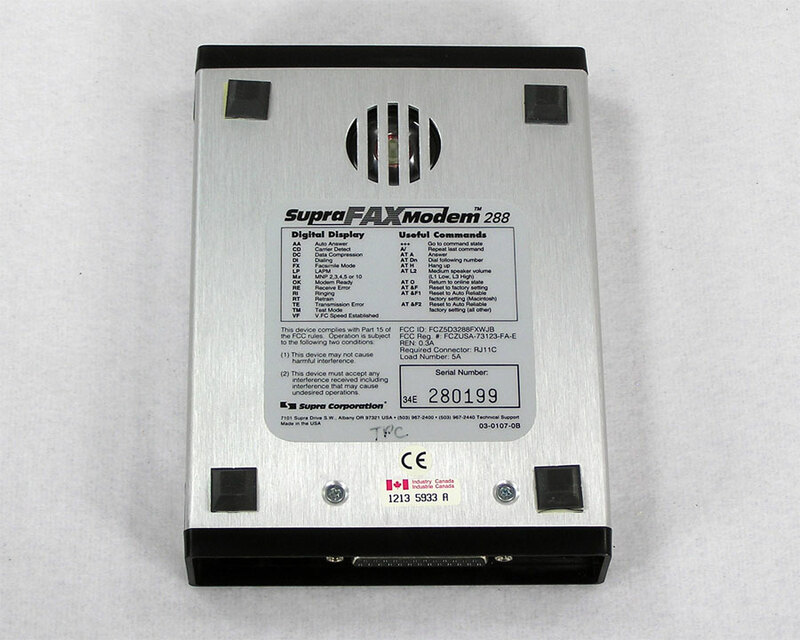 Supra Fax Modem 288. Brushed aluminum case and a small display on the front indicates the current protocol being used and the dialup speed. 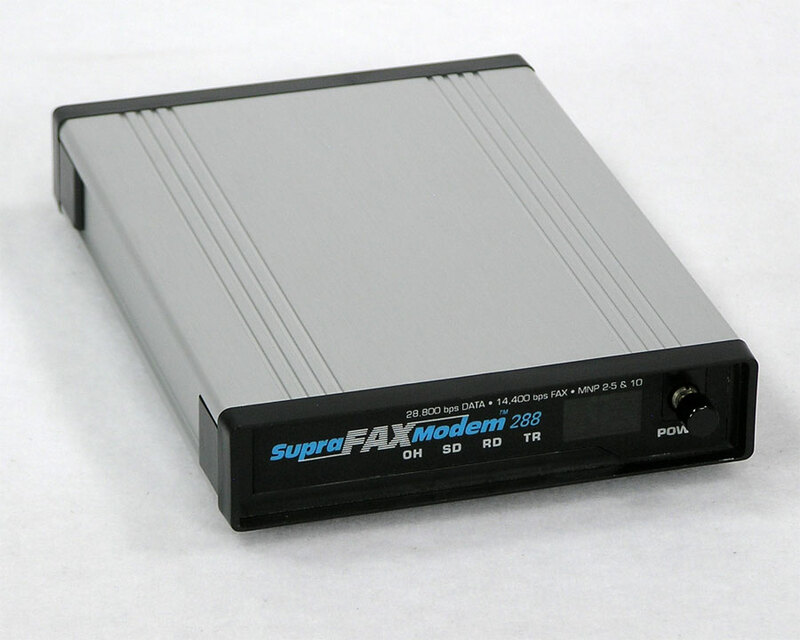 Sold as 28.8K, firmware revisions allowed the modem to reach 33.6 speeds. Available as modem only, or packaged with a power adapter and serial cable. 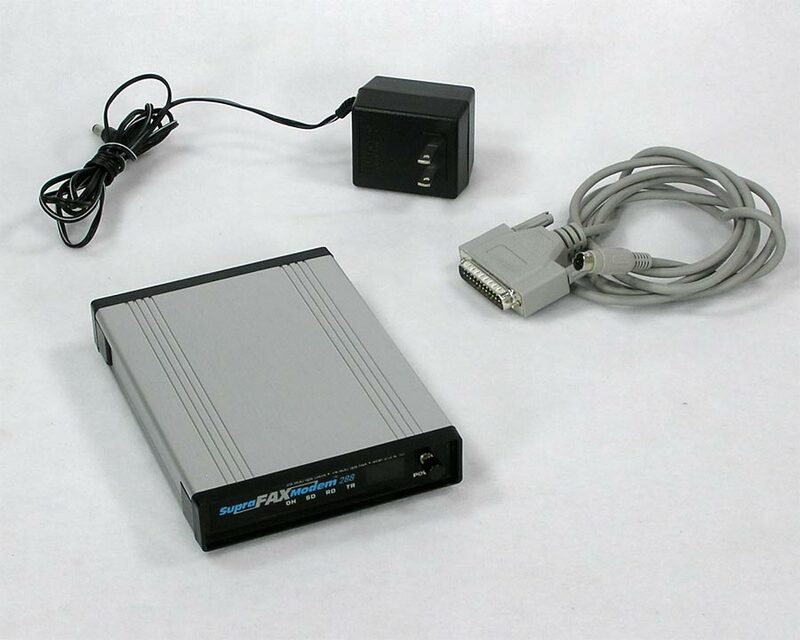 The serial cable (8 pin mini-din) connects to the round modem port on your Mac (Plus through Beige G3) or Apple IIc Plus or IIGS. Tested to power on only as I don't have a telephone service capable of dial-up.